Methlick is a top Aberdeenshire cricket team playing at the superb Lairds cricket ground by the Ythan in the centre of village. They can provide excellent coaching in cricket. A superb sporting opportunity for local kids. 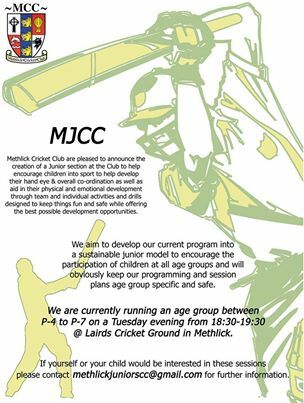 Methlick draws it’s players from all the villages around with a strong emphasis on helping young players.